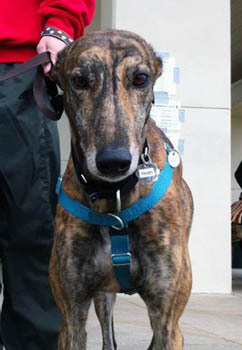 Heath, aka Genesis Best, is a 4-year-old brindle male born August 8, 2008. 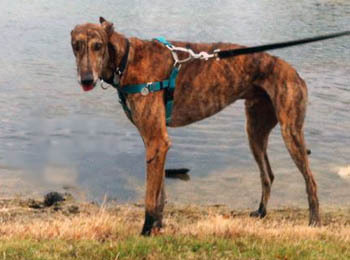 His sire is Swahili Eile Penske and his dam is GALT's Simone, making him littermate to GALT's Lee. Heath has 72 races to his credit on Greyhound-data.com, with quite a few at the A grade. He started at Gulf Greyhound Park in Texas on November 6, 2010, moved to Wheeling Downs in West Virgina, and finished up at Southland in Arkansas on August 25, 2012. Heath finished 3rd in the 2011 Southland Festival of Stakes Supersprint. Heath has passed an initial cat test.